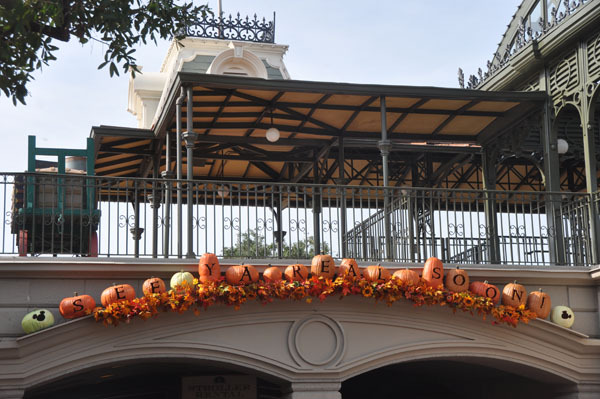 The Halloween decorations are up at the Magic Kingdom at Walt Disney World. I was being an optimist this year and hoping that they had done something new this year. Well, they are the same decorations as the last few years. The Halloween decorations signal Fall to me in Florida. 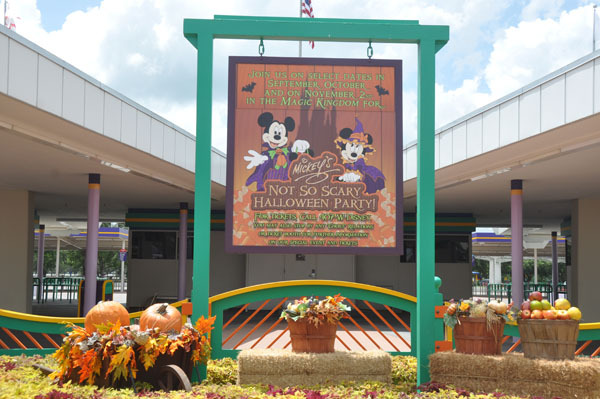 For everyone else it signals the start of Mickey’s Not So Scary Halloween Parties. 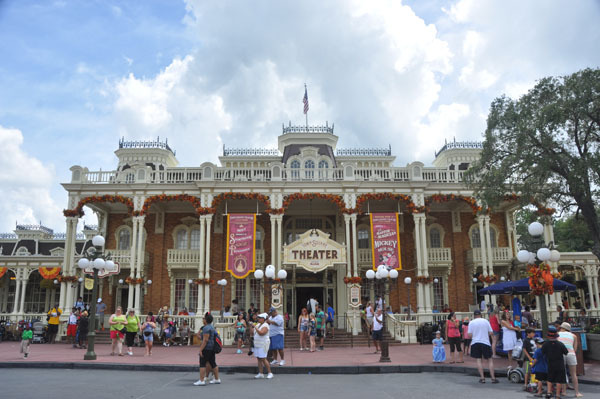 These parties happen on select nights starting September 11, 2012 and require a separate ticket to be in the park after hours. The parties are great fun for the family. It’s fun to see how everyone dresses for the party. Some costumes are quite elaborate! 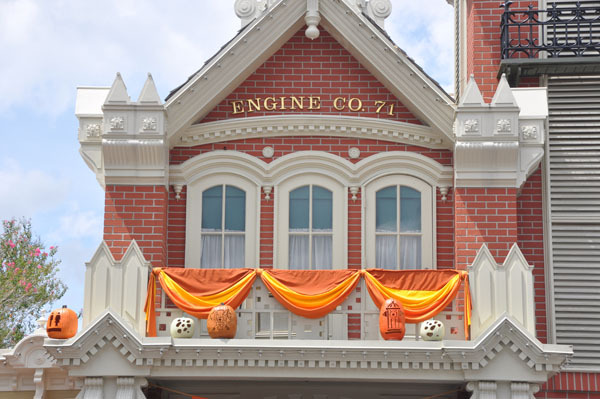 The kids will enjoy trick or treating at the different stations throughout the park. 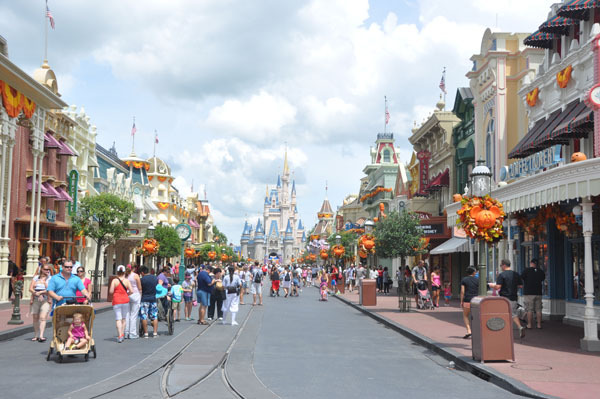 This is a great way to enjoy Magic Kingdom. 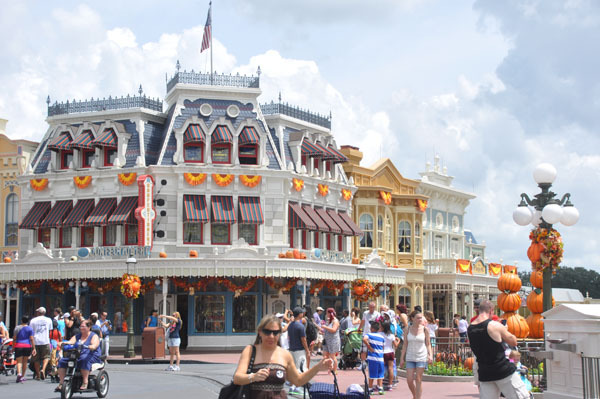 Stay and relax at your Disney resort during the day and party the night away at Magic Kingdom. The buildings look very festive all decorated. 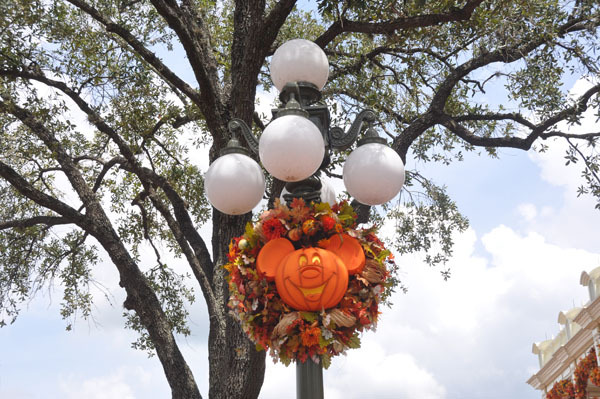 Even the lamp posts are decorated for Halloween. 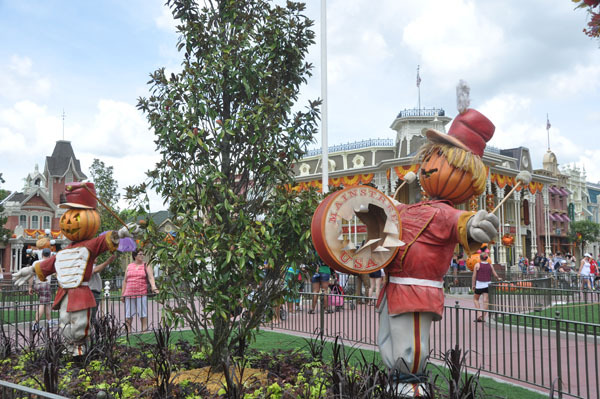 There are lots of fun displays as you enter Magic Kingdom. I love how the pumpkins match the location. 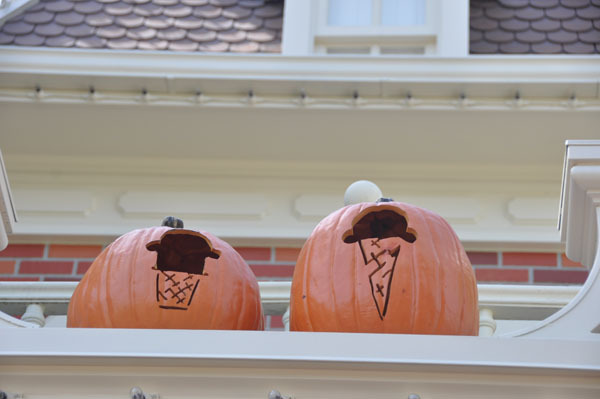 It’s fun to walk around and look at all the carved pumpkins. 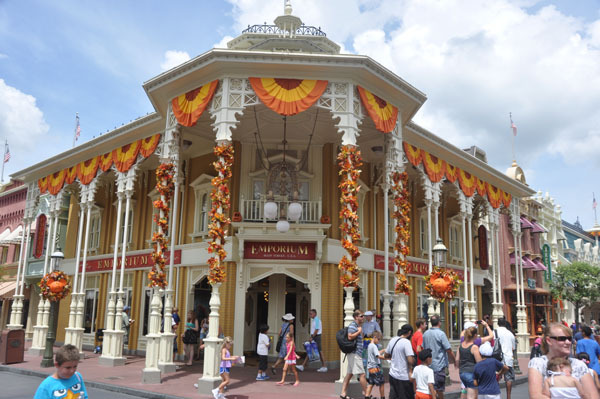 If you haven’t been to Magic Kingdom in previous years you will love the festive feel of the park. 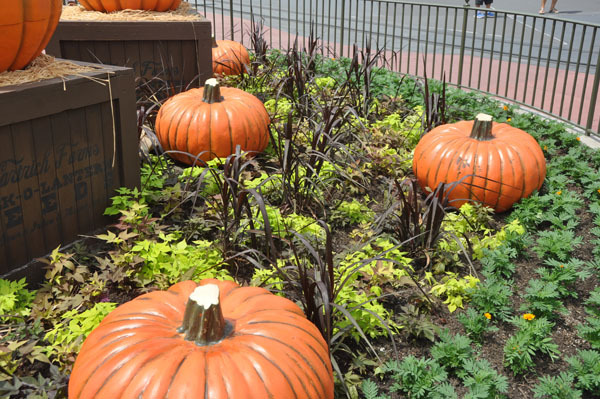 Don’t miss the carved pumpkins when you leave the park! 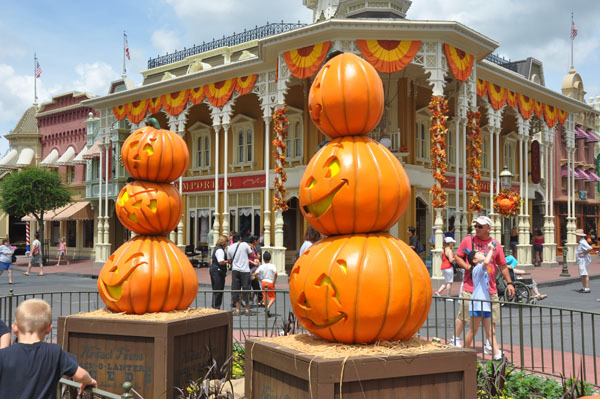 What is your favorite things from the Magic Kingdom during the Halloween season? I will be at the first Halloween party on the 11th. Will you be there? 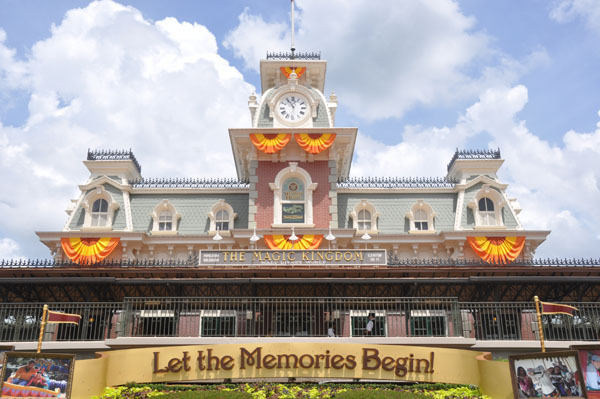 See you in the parks!